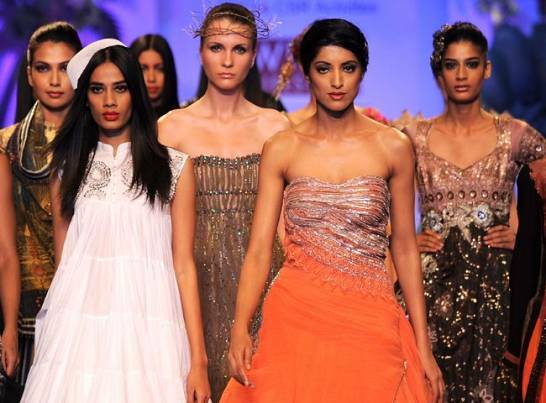 In a more unusual step, the grand finale of Amazon India Fashion Week included two designer brands: internationally acclaimed, Tarun Tahiliani and Amit Aggarwal who has a high profile in India. 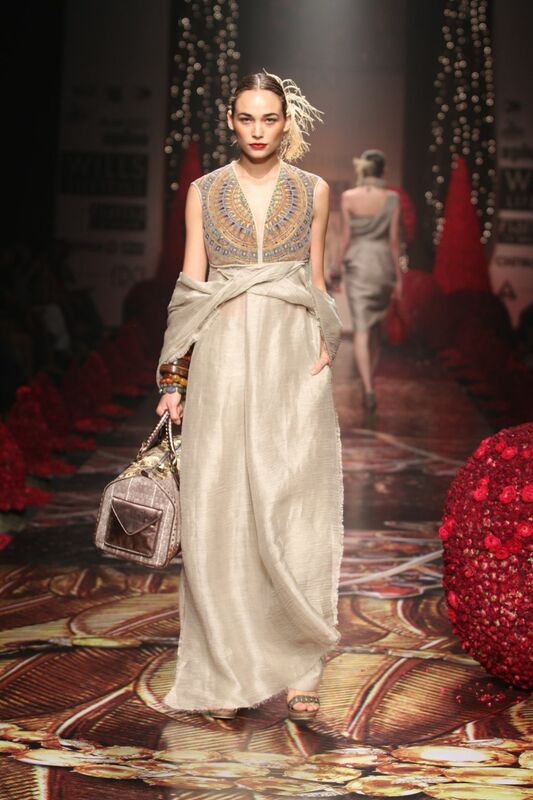 ‘…Ornament as the principal embellishment is the glue that binds this collection together’ Tarun Tahiliani. 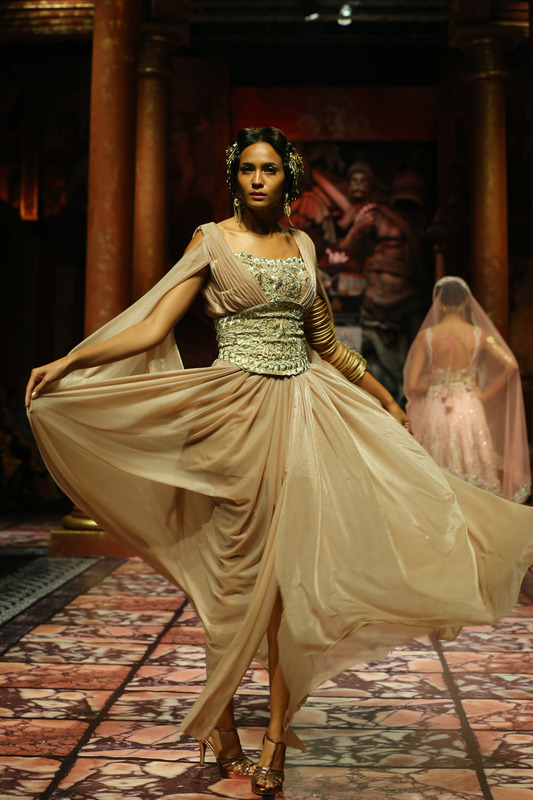 Setting the standard for the rest of Wills Lifestyle India Fashion Week with a stellar opening show veteran Indian designer, Tarun Tahiliani, did not disappoint. His AW14/15 ready to wear collection was an indulgent voyage in worldly ornamentation and clever layering. Precious jewellery provided the colour palette and inspiration for embroideries. Ruby, emerald, onyx, sapphire, gold, turquoise…an Aladdin’s cave of rich inspirational colour. 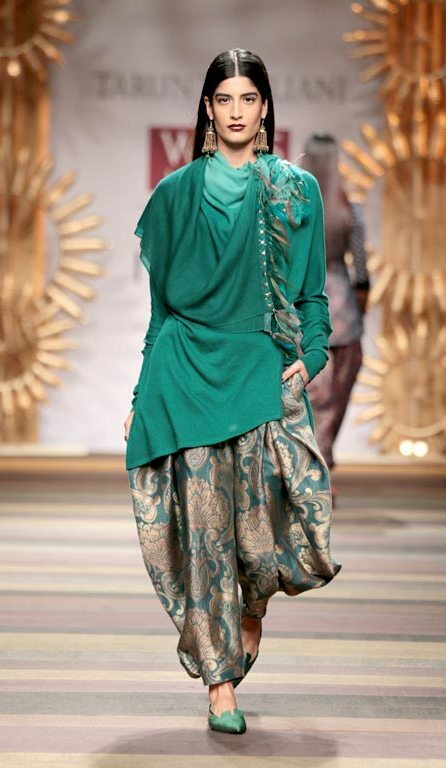 Textiles included silk brocades, draped into structured salwar trousers and other fine silks used in flowing kaftan inspired silhouettes or as a base for amazing kaleidoscope prints. I was lucky enough to have a sneak preview of the collection at the fittings prior to the shows and the fabrics and styles are even more gorgeous close up. 5 days, 31 shows and 119 designers… later this month I will bring you extensive coverage from Wills Lifestyle India Fashion Week Autumn/Winter 2014. The dates for your diaries or mobile phone reminders are 26-30 March so be sure to check the blog for all the latest shows and reviews. 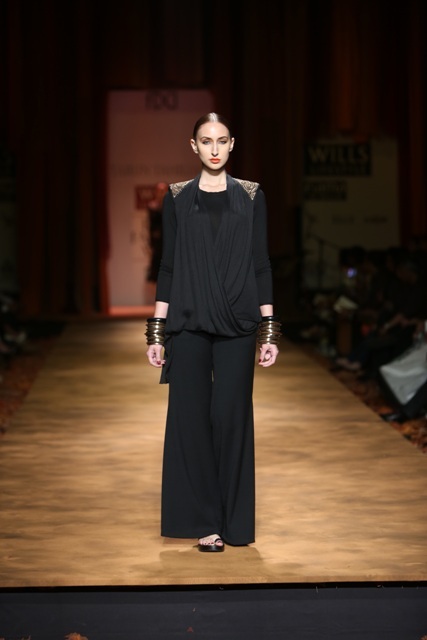 The week will be opened by celebrated designer, Tarun Tahiliani. 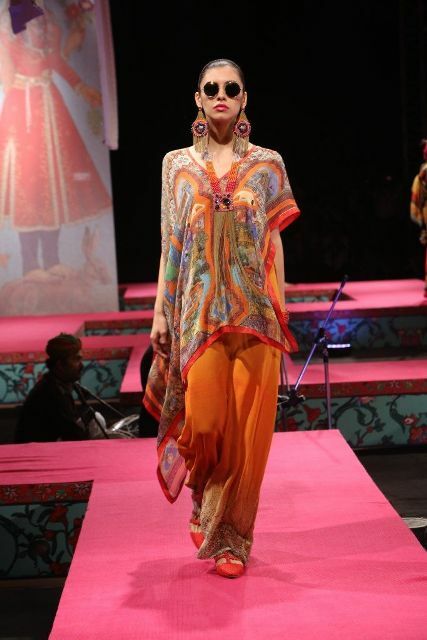 Designer Tarun Tahiliani is a formidable force in the Indian fashion industry and this season he took inspiration from the Kumbh, a religious festival, and Sadhus – the saffron draped wandering spiritual men. The tension in the lead up to fashion weeks is tangible in studios where designers will be fussing over the finishes to garments that have taken months to come to fruition. 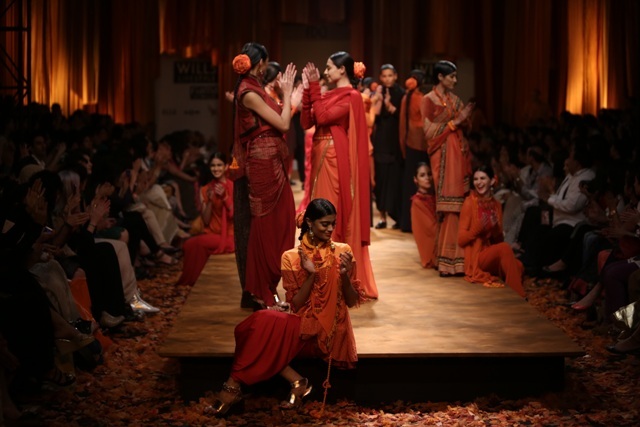 Paris fashion week is currently in full swing, however, I’m in Delhi and Wills Lifestyle India Fashion Week Autumn Winter 2013 is under two weeks away.